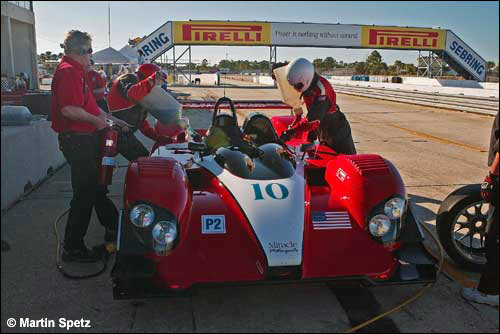 An interesting variety of cars were present yesterday, February 6, for the first of three days of testing at Sebring. After “a foot of rain on Friday and Saturday”, Monday’s weather was perfect. 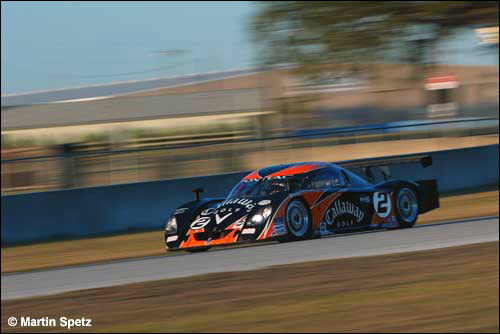 One DP was present – the Callaway Crawford, running with an open exhaust, Andy Wallace setting laps in the 2:02 region. 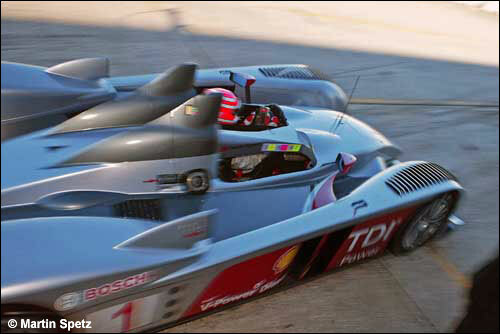 LNT was getting through lots of work with its Panoz, “building it up, running it, tearing it down and building it up again”. Best laps were in the 2:05 region. The pair of Dyson Racing Lola B06/10s were together on a track for the first time, and the team is planning one more test before the 12 Hours. “Getting miles on the cars” was the order of the day. Guy Smith was present, but no Butch Leitzinger. 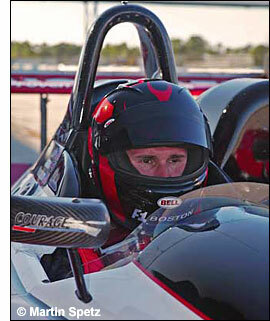 After an engine change, James Weaver completed 39 laps, with a best time of 1:49.8s. Not many changes on the car were carried out but the car was very responsive to those that were and improved every time. Andy Lally and Ian James were running in the Miracle Courage, and James Gue reported that one of the drivers set a best time of 1:51 early in the day. 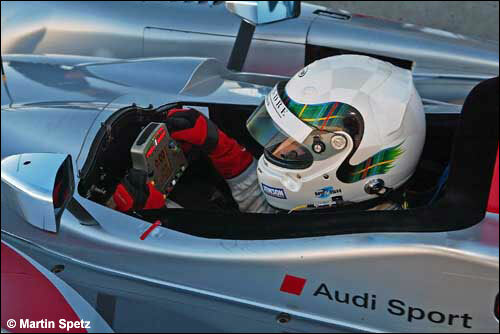 Allan McNish and Marco Werner were doing most of the work in the two Audi R10s, and didn’t seem to be having any problems at all… a best lap of 1:48.3. There’s a possibility of rain on Tuesday.